The relationship between China and Guyana goes back over 40 years. During the height of the Cold War, and in contrast to the policy of most of the hemisphere which was under the influence of the United States at the time, Guyana and China established relations on June 27, 1972. While the relationship was initially established in order to foster mutual cooperation and development, the past decade has witnessed a surge of Chinese interest in Guyana’s natural resources, leading many Guyanese citizens to question the value of this supposedly equal and beneficial partnership. While the investment is indeed large, it is more likely that the benefit to the people of Guyana will be quite small outside of political circles given the nature of Chinese companies to import their own labor to staff operations in Guyana. While many Guyanese people are underemployed or in need of work, Chinese laborers were brought into Guyana for the construction of the new Marriott Hotel in the capital of Georgetown earlier this year. With the growing amount of criticism over the surge of recent Chinese investment in Guyana's growing forestry and mining sectors, the political opposition has called for investment agreements between the Guyanese government and Bai Shan Lin to be made public—but so far little headway has been made. However, the details which have emerged paint a troubling picture for any attempt for Guyana to establish a model of sustainable and equitable development. Some of these investment policy “advantages” of doing business in Guyana were highlighted in a PowerPoint presentation created by Bai Shan Lin. The presentation reveals that Guyanese trade agreements with China allows for “machinery, equipment, raw material, transportation means and office supplies for production use are exempted from import duty and excise tax.” Furthermore, under the agreement, new enterprises benefit from tax exemptions, custom duties on exports, and have no regulations on the foreign transfer of their profits. Assuming that models of economic development or trade are static is unrealistic and of little value when trying to understand what is really happening on the ground. The term “Capitalism with Chinese Characteristics” was adopted as an easy way to describe and distinguish the uniquely regulated nature of the Chinese economy. It seems that a similar term could be adopted for China’s resource based foreign investment policy. 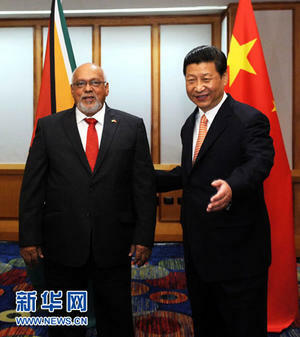 While the Guyanese government is a willing partner in these new investment agreements, it is important to realize that it is an incredibly unbalanced relationship that maintains the essence of colonialism—the exportation of raw materials and the increasing dependence on Chinese manufactured goods, capital, technology, and knowledge. While it is true that China has not followed the European or North American model of instituting a formal model of colonialism via violent invasion and occupation, it does not mean that China is not engaging in a modern form of colonialism with Chinese characteristics. While countries all over the world are scrambling for investment, it should be done in a manner that will protect the long-term interests of the recipient nation’s population and environment. To jumpstart an economy dependent on short-term resource extraction without ensuring that necessary regulations in place is a recipe for disaster. The strong interest of China in Guyana provides a real opportunity for the government to establish policies which will generate value and public benefits from their responsible and regulated extraction of their natural resources. According to the most recent World Bank statistics, an estimated 43% of the Guyanese population falls below the poverty line, with 29% living in what is categorized as extreme poverty. In order to address the longstanding roots of poverty and inequality in Guyana, revenue from resource extraction to fund state investments in healthcare, education, and social services is needed. However, China and Guyana both share a similar feature—on paper they are both committed to socialism and serving the people. Yet, with a government selling off incredible quantities of land to Chinese companies, without any real change it is hard to imagine that the current acceptance of “colonialism with Chinese Characteristics” as the status quo will bring any tangible or visible return for the people of Guyana. Norway’s Foreign Policy in the Americas: A Better Way Forward? A cursory look at the history of most countries' foreign policy towards Latin America and the Caribbean can often be categorized as being under the influence of colonialism, the Cold War, or neoliberal fundamentalism—depending on the era. Even today, the foreign policy of emerging powers such as China and middle level countries such as Canada are primarily driven in regard to control over the region’s natural resources. To date, there has been very little genuine engagement between the region and outside nations (as Cuba and Venezuela have wide ranging aid and cooperation policies) in order to help cultivate an environment of equitable, respectful, and progressive relations. One nation which appears to be countering this trend is Norway. Before going any further, it is important to state that no nation’s foreign policy is perfect, but instead they should be realistically compared on a scale ranking them from the terrible to those which are better. To provide some context, Norway has not always followed an independent path in the hemisphere. For example, through the mid-1960s, as a member of the North Atlantic Treaty Organization (NATO), Norway was loyal to U.S. policy in the region. However, this began to change in the late 1960s when Norway broke ranks with U.S. policy over the Cuban embargo and military intervention in the Dominican Republic. 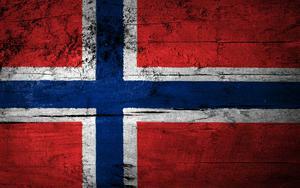 Due to large offshore oil deposits in the North Sea, Norway has extracted the resource to the benefit of its people. The Norwegian state-owned oil company, Statoil, has long been active in Mexico, Venezuela, and Brazil. With this is mind, the Norwegian government has remarked that despite an interest to make money via the extraction of oil abroad, it is central to the government's foreign and development policy that Norway should not "...take from the developing countries the management rights and remedies that have been important to develop our own society." One area in which Norway provides an important way forward is in Haiti. Since the earthquake of 2010, Norway has provided $2.5 million to support Cuba’s medical brigades in Haiti. The Norwegian government should be credited with identifying and supporting a health program which delivers incredible results to the people who need it most—while the majority of other nations continue to pour money down the drain to unaccountable and often ineffective non-governmental organizations. Cuba’s medical brigades have helped over 3 million Haitians, and the Cuban government is seeking to build a Haitian staffed national healthcare system at the primary level in the long term. This is not to say that Norway was the first or only nation to support Cuba’s medical programs in Haiti—as Brazil and Venezuela have also provided important funding for the initiative—but Norway is the first European nation to follow this model. Thus contrasted against the regressive foreign policy of the United States and Canada in the region, Norway appears to be doing a better job in aligning themselves with the priorities of the region’s people. However, like anything else, to give Norway a blank check for its progressive foreign policy in the Americas would be overlooking the less glamorous side of Norway’s foreign policy. Norway is home to a rapidly expanding arms industry—with Brazil and Chile listed as some of its top customers. What is important despite the negatives is the fact that Norway is choosing to ignore the harmful and out of touch positions of “global leaders” when it comes to development policy in Haiti or how to achieve peace in Colombia. It is this important independence in foreign policy decisions which should inspire the people of other countries to demand more from their governments in setting a more equitable and respectful global agenda. In comparison to many of its neighbors in Central America and the Caribbean, Belize has pursued a very effective and comprehensive policy of conservation in order to capitalize on the growing segment of eco-tourism. However, given the stresses of economic development, Belize is facing a difficult balancing act when it comes to determining the limits of environmental and cultural conservation. Like most Caribbean countries, Belize is burdened with extremely high-energy costs—yet it was expected that this would change when Belize discovered deposits of oil in 2005. This recent discovery of oil has sparked a debate about the future of Belize’s economic development. Earlier this year, the Belizean court stopped government plans to begin contract offshore oil deposits to inexperienced companies in the Meso American Reef—the world’s second largest barrier reef and a World Heritage Site. Due to the devastation brought by the BP oil spill in the Gulf of Mexico in 2010, the decision to drill within such an ecologically sensitive and important zone was regarded as highly controversial within Belize. The court case resulted from the work of conservation organizations sparking a “people’s referendum” in which 96% of those who participated voted against offshore drilling. The desire of Belize’s people to protect their environment in spite of official government policy could be seen with the seaside village of Placencia voting against the construction of a cruise ship port which would see ships carrying 3,000 passengers arrive weekly. The Placencia Tour Operators Association voted in 2010 to block the development, stating that it would result in “adverse effects on the area's fragile marine and inland environments such as coral reefs and fish and bird habitats.” Furthermore, cruise ship passengers were regarded as undermining Placencia’s overnight tourism industry and its many small businesses. Despite the local opposition, Belize’s Prime Minister, Dean Barrow, recently remarked that local communities (it is estimated that 60% of the population are classified as living in poverty) should consider the economic benefits of constructing a port for mass cruise tourism. Despite these important victories, not all efforts to protect important sites have been positive. The latest example of economic development undermining Belize’s cultural heritage could be seen with the bulldozing of the 100-foot tall Mayan pyramid located in the Nohmul complex which is over 2300 years old. 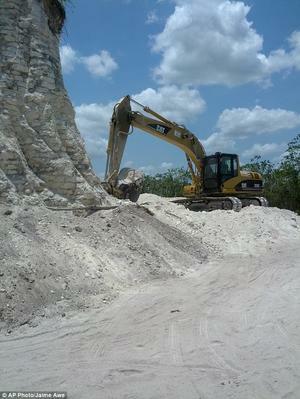 The pyramid was bulldozed as filler for a new road in the northern part of Belize. Under the law, all Mayan pyramids in Belize are protected, yet it appears that the incident at Nohmul was not the only instance. Norman Hammond, a professor of archaeology at Boston University remarked that “bulldozing Maya mounds for road fill is an endemic problem in Belize (the whole of the San Estevan center has gone, both of the major pyramids at Louisville, other structures at Nohmul, many smaller sites), but this sounds like the biggest yet.” It has been reported that a criminal investigation is underway and charges may be laid against the construction company. Meanwhile, the political opposition has argued that the construction of the road into northern Belize was poorly planned but carried out on government orders to gain support from the region. While it appears that the people of Belize have often been the catalyst for conservation in spite of recent government policy, it remains to be seen how long this can continue. The people of Belize realize that the conservation of the environment will provide opportunities for the long term despite the pressures of foreign investors, and the government seems intent on undermining the ecological and cultural treasures of Belize for short-term economic profit. It can only be hoped that other nations in the region become inspired by the example set by the people of Belize in rejecting mass tourism in favor of smaller scale but more sustainable model.